User Generated Campaigns – The New Black? It is great to see the number of campaigns out there asking us to upload videos, tell stories and work our creative muscles. Just as no one is surprised by a “buy one get one free” offer or the fact that brands use the “big launch premiere” tactic to get buzz. This is one of the great new tools marketers have to work with now that everyone has the internet. The question is what does the brand do with the content. 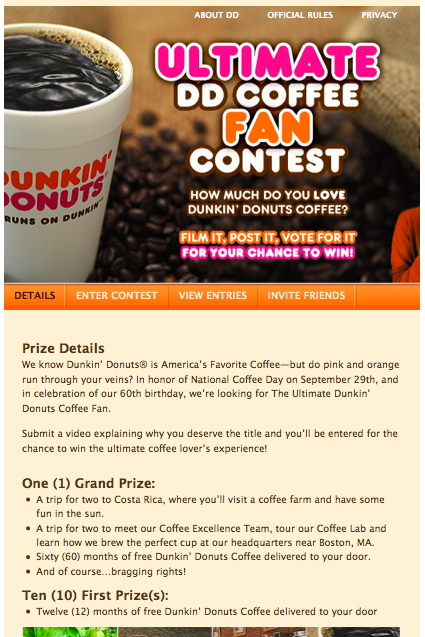 Just as direct marketers have collected a host of data with emails for years and then only send out mass shotgun messages afterwards, the challenge will be whether Dunkin or Toyota or Amex can really put the content to good use. 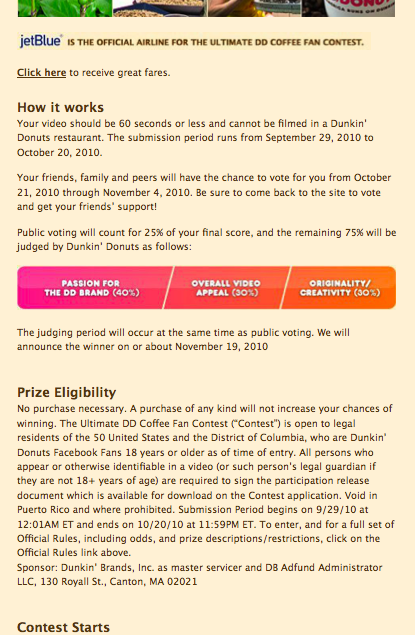 If “America runs on Dunkin'” and 10,000 people create videos of impassioned, stark raving caffeinated testimonials of why they run on Dunkin’, it shouldn’t be too much work to see a nice digitally fed national campaign hit TV. America’s Funniest Videos is in its 20th year (not counting 40+ years of Candid Camera before it). I think we can trust there is appetite.